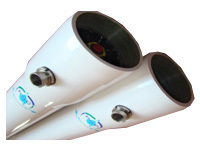 Panda Water Tech Private Limited - Manufacturer of filtration system, softening plants & dm & reverse osmosis plant since 1987 in Ahmedabad, Gujarat. Panda Water Tech Pvt. 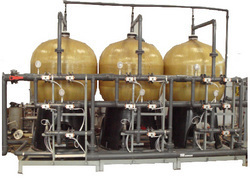 Ltd ™ manufactures a wide range of standardized and custom built filtration system to remove suspended solids from source water with Dual Media Filters or a complete line of Sand Filters and Activated Carbon Filters. 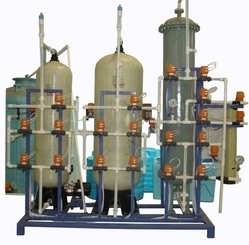 The filtration system offered are in Mild Steel Rubber Lined fabricated vessels or Fiber Glass Reinforced Plastic vessels as per customer’s requirements. Normally Raw water contains Suspended solids, which can be removed by deploying normal Filtration system. 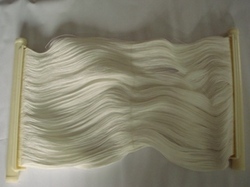 The filter consists of various layers of different sizes of Silica quartz sand, Anthracite, etc. 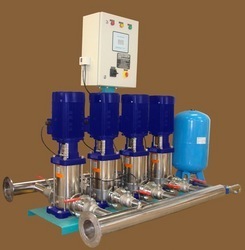 which is required to remove the turbidity and suspended solids present in raw water. This unit is a Mild Steel Rubber Lined, SS or FRP vertical pressure vessel internally fitted with top distributor and bottom collecting system. 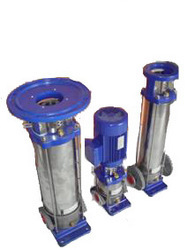 It is externally fitted with frontal pipe work and necessary Multi Port Valves or Conventional Valves as per requirements. Water also contains Organic contents, which is not permissible as per W.H.O. norms & may create Taste as well as odor problem. Apart from this, it may contain Color content, which has to be removed from the water. For the removal of these contents, Activated carbon filter is provided, consisting of Activated carbon granule. 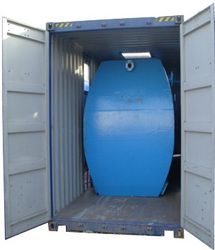 This unit is also a Mild Steel Rubber Lined, SS or FRP vertical pressure vessel internally fitted with top distributor and bottom collecting system. It is externally fitted with frontal pipe work and necessary Multi Port Valves or Conventional Valves as per requirements. Panda™ Softeners are based on Ion Exchange Process. The system comprises of Mild Steel / FRP Pressure Vessel, Frontal piping wok with manual multi port valve for easy operation and control. 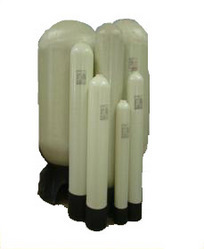 Standard softeners are available as DOWN Flow and UP flow type. 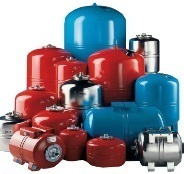 Ranges are available from 1000 LPH to 1000000 LPH. 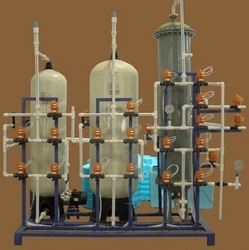 The system is supplied with necessary brine solution preparation tank for regeneration of the softeners. In the scarcity of desired water available for various application membrane based technology has emerged as the most versatile and reliable solution to water management and liquid separation problems in last few decades. 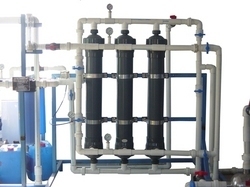 The physical membrane separation techniques like Micro Filtration, Nano Filtration, Ultra Filtration, and Reverse Osmosis provide the most reliable and economic solution. The technology can treat tap , brackish , sea and waste water to produce specific treated water quality to suit various applications. The packaged models are standardized from 250 LPH to 100000 LPH flow suitable to domestic, commercial and various industrial applications. UF remove 99% of colloidal silica, Iron and Aluminum. For medium pressure power plant, the UF reduce silicate deposits on turbine blades which enhanced turbine efficiency and longer service life. For high pressure power plant, the UF will help to decrease sharply the boiler blow down. RO membrane are sensitive to colloidal in general, particulate and organic matter fouling which result in extensive cleaning cycles, higher operating pressure and frequent replacement of the RO elements. Pretreatment with Ultra-filtration reduces the SDI below 1 or 2 and provide a low fouling feed water to RO. 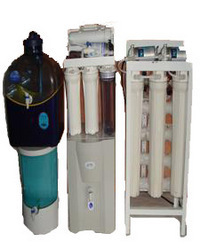 The Ultra filtration system can be easily backwashed with aggressive chemical such as chlorine (up to 200 ppm). Ultra filtration allows for in-place recycle of water for closed loop recovery systems. Depending on plant requirements, water from plant operations may be biologically treated first for the COD/BOD reduction, followed by Ultra filtration and other Ions removal process such as RO or Ion exchanger. To increase the water supply pressure in high rise buildings , hospitals centralized water supply in housing colonies Panda Water Tech Pvt. Ltd.™ offers hydro pneumatic pressure booster systems with FRP/MS made pressure booster tank with High efficient multistage centrifugal pumps of sufficient capacities to meet the requirement of water with enough pressure during peak load demands as well as part load demands too. The system can be designed with conventional control panel for pump running or else with VFD (Variable Frequency Drive). Electro dialysis is a process in which charged species are separated from an electrolyte solution by an applied electrical current. This is achieved inside a module equipped with ion-selective membranes, placed between two electrodes. The process streams are circulated through this module. A Cation-exchange membrane (CEM) possesses fixed, negative charges, surrounded by pore electrolyte containing (mobile) positively charged ‘counter-ions’. The fixed charges can be (among others) sulfonic acid or carboxylic acid groups. The sulfonic group is dissociated in the entire pH range, the carboxylic group is undissociated below a pH value of 3. In most anion-exchange membranes (AEM) the fixed charges are ammonium groups . They can range from quaternary ammonium groups which are dissociated in the entire pH range, to primary –NH3 + groups, which are positively charged only in acid surroundings. Here the counter-ions are the negative ions. The backbone for most types of membrane is formed by a cross-linked polystyrene (hydrocarbon) structure. In the case of the Nafion Cation-exchange membrane, this is atetrafluoroethylene backbone. The ionic groups introduce hydrophilic properties into the otherwise hydrophobic structure . This allows water to fill up the free space, to form an internal ‘solid polymer’ electrolyte. In both types of membrane, the concentration of fixed charges, is in the order of 1-2 M. In dilute electrolytes, the counter-ions tend to move out of the membrane, driven by a concentration gradient. This leads to a (very small) charge of the membrane, which counteracts further counter-ion diffusion, and limits the amount of oppositely charged ‘co-ions’ entering the membrane. When an electrical current is imposed on the membrane, both types of mobile ions will carry the charge, but as the counter-ions outnumber the co-ions, these are separated from the solution. Panda Water Tech Pvt. 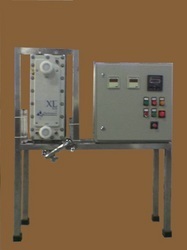 Ltd.™ offers unique combination of High velocity Sand filters with conventional Chlorination / Dechlorination dosing system for microbiological impurity removal with poly electrolyte dosing to minimize the suspended solids level in swimming pool water and thus provide crystal clear water for the application. The system can be designed for different size of swimming pool with minimum run time. The application of MBRs to a variety of wastewater sources has expanded from a few systems in the late 1980’s to thousands of systems in operation today. They are now being used on wastes ranging from domestic effluent with Biological Oxygen Demand (BOD) ranges of 200-600 mg/l to industrial waste with influent BODs of 18,000 mg/l. 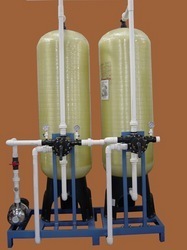 This technology has served customers that need effluent of consistent quality with low BOD and Total Suspended Solids (TSS) for reuse or discharge, for sites where space is limited, for sites where there is a need to increase the capacity of an existing system, or to reduce operating requirements. Most of the sewage will be generated during lunch / dinnertime in morning and evening. Raw sewage from different units will flow to STP by gravity after passing through a bar screen and collected in a collection sump for pumping in to ETP at desired rate and eliminate the effects of hourly flow variations. Raw sewage will be pumped to aeration tank. Aerobic biomass will be maintained in the aeration tank to decompose organic pollutants in suspended and dissolved stage. A diffused aeration system will be provided for oxygen supply. 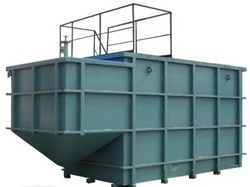 An integrated clarifier will be provided for separation of treated sewage and biomass. Biomass will be retained in the aeration tank and excess biomass and sewage solids will be wasted in to sludge drying beds for drying by solar action. Dry sludge will be removed once in a month from the sludge drying beds and can be used as a rich organic fertilizer. Treated sewage will be collected in a treated sewage collection sump. Treated sewage will be used for on campus horticulture purpose after chlorination, polishing in Pressure sand filter / activated carbon filter and re-chlorination.